Undetected hdds can be caused by many reasons such as ROM damage, SA module damage, incompatible SA and ROM, head damage, etc. This case study is to teach the ROM and SA must match by having the same microcode. The hdd was undetected due to ROM damage and let’s now analyze and follow some steps to fix it. The first thing we could think was to backup the firmware modules when it’s possible, because whether it’s hdd repair or data recovery, we may use the modules in the operations later. Firstly the user went to read SA under firmware operations and found the sa modules were not damaged. The problem was that the SA and ROM didn’t match from the microcode checking and comparing. 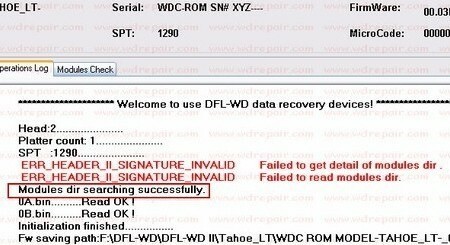 When trying to enter the program, the SPT and HDD ID information were not detected. The user filled in the SPT value manually. Here users don’t need to write a SPT value if users don’t need to operate on tracks. Click ok to enter the program. Go to menu ‘ROM Operations’-Write ROM. 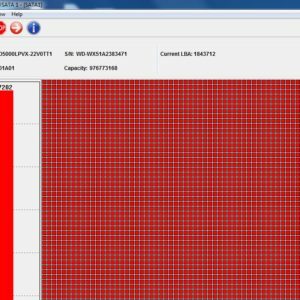 The user found one ROM with the same microcode of SA-0009000U. And in the log section, wait until the rom was written successfully. Click softreset and then power off and power on the hdd and re-enter the program. 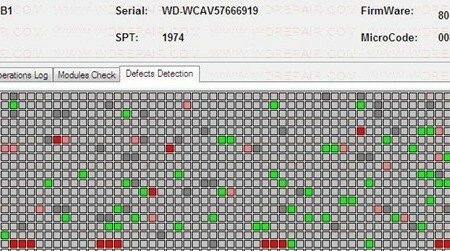 Click AutoGetDetails and the hdd ID and SPT information were detected correctly now. Please note the microcode of ROM had changed from 0009000M to new microcode-0009000U and it’s then the same as SA microcode. 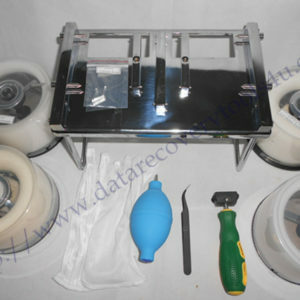 Next users could scan the hdd and it’s ok to image and recover the data using DFL-DE data recovery tool or DFL-DDP USB3.0 data recovery equipment.